The Idaho Department of Fish and Game (IDFG) with input from the Southeast Idaho Winter Feeding Advisory Committee (WFAC) has selected an additional 27 sites for baiting/feeding efforts in multiple counties in southeast Idaho. The total number of feed sites is now 89 (71 for deer, 16 for elk, and 2 for pronghorn). Over 100 volunteers are lending assistance to date. Winter provides great opportunities to view Idaho wildlife, but it is very important to enjoy the view from a distance. Winter can be very stressful for wildlife, especially in winters like this when snow is deep or crusted. The Charcoal Creek segment of the Boise River Wildlife Management Area is now closed to all public entry. This portion of land is located south and east of Lucky Peak Reservoir and north of the Blacks Creek Road. The southeast regional office of the Idaho Department of Fish and Game is getting ready to discuss the proposals for the 2017 hunting seasons for big game. To hear these proposals and for an opportunity to ask questions and provide comments, please join us at one of these scheduled meetings. Idaho Fish and Game plans several open house meetings around the state during February to collect public comments on the 2017 and 2018 proposed seasons and rules for deer, elk, pronghorn, black bear, gray wolf and mountain lion. Interested individuals can visit with department personnel concerning the proposed seasons and provide their written comments by attending any of the below meetings. After having a number of milder winters in a row, this year’s winter seems harsh, even though it is pretty typical for what used to be considered a normal winter. Epizootic hemorrhagic disease (EHD) is caused by a virus in the genus Orbivirus. There are two distinct types of EHD in North America, and about 16 types of BT. The virus is spread between susceptible animals by biting midges (Culicoides spp.). EHD is found throughout North America from the southeast to the northwest. 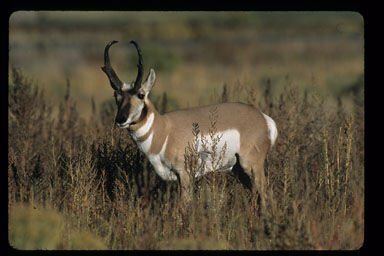 EHD and bluetongue have been documented in most areas of Idaho with large outbreaks in white-tailed deer in the Clearwater Region. Clinical signs in infected deer include sluggishness, difficulty breathing, and swelling of the head, neck and tongue. Ulcers or erosions of the tongue or gums may be present. Internal lesions include swelling and fluid accumulation in the lungs, ulcers in the abomasum an d hemorrhages on the heart and intestines. Animals with chronic EHD can have abnormal hoof growth, hoof sloughing and sometimes are emaciated..